Feeding the Unemployed. Men at a soup kitchen in Washington, D.C., 1936. U.S. Federal Government photograph. Public domain. The time was June 1938. America was still reeling from years of economic calamity brought on by the Great Depression. War was also in the wind. The beginnings of the darkness that would soon spread across multiple continents and cost millions their lives had already fully metastasized in Europe and far off places like Nanking, China. America’s hope of staying out of a second world conflict looked very grim. Against this back drop two Jewish immigrants living in blue collar Cleveland, Jerry Siegel and Joe Shuster, struggling to make ends meet and dreaming of using their talents someday, stumble upon an idea for a comic book serial. Siegel is later credited with saying that one night while looking up at the stars he imagined a powerful hero that looked out for those in trouble. A savior if you will. From that germ, the idea of Superman was born and in June 1938 was introduced to the American public, a public desperate for heroes and someone or something to look out for them. To Siegel and Shuster both left leaning immigrants, Superman in early serial comic editions took on the role as social activist fighting against business corruption and dirty politicians. The character would later see greater notoriety not in comic books, but in radio broadcasts. 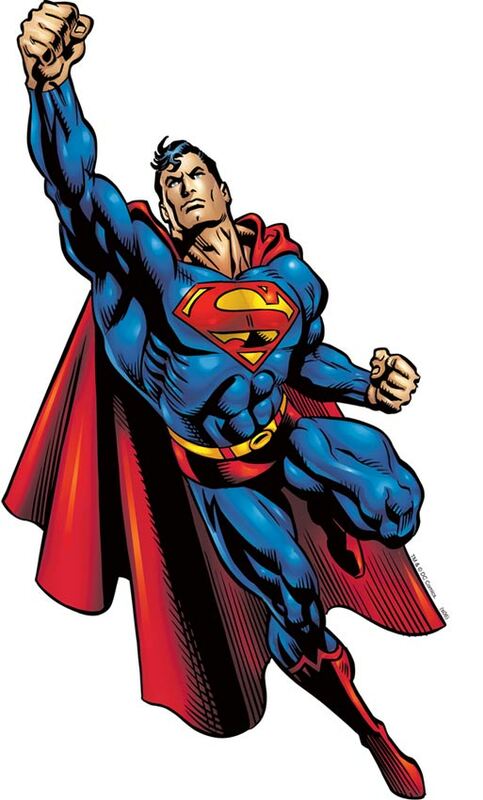 By the 1940’s and 1950’s Superman began personifying the ideal American: quiet, humble, mild mannered, but with strong fortitude and desirable character traits like being truthful and just. It also didn’t hurt that he could fly and was virtually invincible. Through the decades Superman’s mantra would change little. His beliefs in truth, justice, and tolerance could easily have been said to be the ideal “American Way.” An America where people do what’s morally right, believe in a system of laws that are just and not arbitrary, and are tolerant of all races and cultures. Maybe that America never really existed, but it is a hopeful vision. Today as they did in Siegel and Shuster’s time, people look to government as the answer to all their problems. Back then it was Franklin Roosevelt’s New Deal. Today President Obama could easily be identified by some as the personification of the superhero in red cape, who promises to stamp out injustice and corruption, intolerance, feeds the poor and provides for the uninsured. Superman was fiction then and is fiction now. America needs it heroes, but perhaps instead of new heroes dressed in business suits, making speeches, and promising the stars, we just need to look further back in time. Maybe we need to try and reconnect to an older group of heroes than Superman. We need to look to the lives and lessons learned from super men who founded this country more than 200 years ago, or better still one Superman who was hung on a cross more than 2000 years ago and came back from the dead. By JJPaladin in Art/Culture, Entertainment/Media, History, Politics/Government/Law on April 3, 2014 . Thank you very much for your comments. I created this blog using the free tools word press provides. I write my own material and must take full responsibility for all the errors in spelling, grammar, content, and taste. I am glad you like it. Your comments are really encouraging.